When things start going wrong, you begin to wish that you had a copy of ALL your important files. The trick here is ALWAYS make sure that you have a copy of your IMPORTANT FILES always. You never know when your Z88 may go wrong (if at all) or even if you may make the occasional deliberate mistake. FLASH CARDS or the original EPROM Packs - no longer recommended. Then there are several ways you can store the data as well as or instead of EPROMS. You could just use EPROMS while you are out and then one of the backups when you get home or back to the office. If you have a Computer with a disk drive, - this is the most cost-effective way of storing the files from your Z88. There are many computers that can be used with the Z88. Check with your Z88 dealer what is available. You will be surprised at the number of third party vendors who have written links for the Z88. Cassette Tape - no longer recommended. If you are on a tight budget and haven't got another computer then Z-Tape is the next `best thing' to use. Using this program you can store your files onto your cassette tape recorder. It is SLOW and depending on which Tape Recorder you use, it can be unreliable. Cassette tapes have been used on several computers in the past. It is a cheap way but not most reliable. Disk Drive - no longer recommended. Undoubtedly the best way to store files was with a Disk Drive. The market leader was the RangerDisk which produced PC compatible 3-1/2" disks. It was expensive, but once you've paid the initial cost of the drive, disks were cheap and reliable. There are other disk drives for the Z88 which are cheaper, but these do not produce disks that can be read by other computers. If these disk drives go wrong, you would not get the files stored on your disks back until the drive was repaired. Use either a computer link or a Flash card now as these are more cost effective now in the 21st century. There are two types of cartridges RAM and EPROM. EPROMS are designed to function in slot 3, and RAM cartridges Preferably in slots 1 and 2. They will work in slot 3 but they will take more power from the batteries and you will not be able to use EPROMs. The perspex cover on the front edge of the Z88 is hinged and if gently pulled from the top, will open enough space to allow you to insert your card(s). When you have inserted a card, with the label on the card facing the underside of the keyboard, then push the perspex flap back into position, i.e. fully closed. IT IS EXTREMELY IMPORTANT TO REMEMBER THAT ONCE THE FLAP IS OPENED AND A RAM CARTRIDGE IS REMOVED, THEN YOU NEED TO RESET THE MACHINE, SEE PAGE 8 OF THE USER GUIDE. THIS WILL CLEAR ALL YOUR DATA IN THE Z88, i.e. 'RESET CLEARS MEMORY. THEREFORE, ONCE YOU INSTALL YOUR RAM CARTRIDGE, DO NOT REMOVE IT. SIMILARLY, IF YOU PURCHASE A RAM PACK AND INSTALL IT AFTER YOU HAVE BEEN USING THE Z88 FOR A WHILE, YOU ARE STRONGLY ADVISED TO BACKUP ALL YOUR FILES ONTO AN EPROM CARTRIDGE FIRST. THE REASON IS THAT IN ORDER TO RECOGNISE THE EXISTANCE OF NEW MEMORY THE COMPUTER HAS TO BE RESET, THUS ERASING EXISTING MEMORY. One other thing to remember is that RAM cartridges draw their power from the Z88 While the Z88 is on or in a sleep mode, your data is safe. If the Z88 is deprived of power (see pages 6 and 7 of USER GUIDE) then your RAM is also deprived of power, and will lose its contents. REMEMBER that your EPROM Cartridge is the best method of archiving your valuable data files or programs, but once the EPROM is full, the recommended way to erase it (if required) is to me the UV EPROM ERASER from Cambridge Computer Ltd. When you put a RAM pack into the Z88, it good practise to give your Z88 a HARD RESET. If you are using a 1M RAM pack it is imperative that you do this as when the Z88 was designed, there were no 1M RAM packs to test it, so OZ (the Z88's operating system), sometimes doesn't recognise it correctly. To check whether the Z88 has recognised it, you need to select the INDEX and then <>CARD. The correct amount of RAM should be properly displayed, i.e. 1024K for the 1M RAM pack. If it doesn't show this, you should do another HARD RESET until the Z88 recognises the right size! After Erasing an EPROM, all information on it is removed including what is called the Header. The header is a few numbers that go at the start of the EPROM to tell the Z88 what it is. or if a blank EPROM is in the Z88 when doing a HARD RESET. It is a good idea to catalogue EPROM after erasing it, so the Z88 knows that it has an EPROM and which size it is before saving files to it. Sometimes an EPROM does not get erased completely because of a speck of dust on the glass casting a shadow onto the chip. Tapping the EPROM to remove the dust does the trick. The UV lamp fades over time of usage which means you need to erase the EPROM for a longer time by giving the EPROM 2 or even 3 bursts of the 20 minute erase time. If you want a completely blank EPROM, do not Catalogue EPROM in the Filer. To write a program into the EPROM you just have to put the erased card in and then do the burn. Using ROMcombiner is a safe way to check if the EPROM is empty and blowing ROMs. Check that you have not got the program still running (it will be shown as a Suspended Application with a Slot number at the end if it is). If it is running, you should move the cursor over the program in the Suspended Applications and KILL it/them. With the Z88 still turned on, open the card flap. The Z88 should bleep. DO NOT insert a different ROM card into the Z88 without closing and opening the flap. Let the Z88 know what you are doing so it does not get confused. You still have the program running or the Z88 is now confused. Open the flap and put the ROM back into the slot you took it out of and shut the flap again. If the INDEX message has gone, investigate what caused it. After KILLing the program, try removing it again. This message appears when you are trying to Save a file to EPROM and it is FULL or because the header of the EPROM has become corrupt. See Bugs - EPROM 256K. There is a known problem with EPROMs (or ROMs if an EPROM is used). If you insert a new set of batteries into the Z88 while an EPROM or EPROM-ROM is in Slot 3, it can get corrupted. This is because Slot 3 is the only slot that has a write line that is used when saving files to an EPROM. If this line is in the wrong state i.e. ON when a new set of batteries are put in it will write rubbish over the header. A wise precaution is not to have anything in Slot 3 unless you are reading or writing to it with `Fetching from EPROM' or `Saving to EPROM.' ROMs with Applications on them are safe in Slot 1 or 2 as there is not a write line in these. Before erasing the EPROM (which will allow you to use it again), check to see if you can recover any of the files using Fetch from EPROM. EPROMs can be used as ROMs. This can confuse users as it might say 32K EPROM on the pack, but it might be used as a 32K ROM for additional applications. If a name of an application like PC Link II is on this 'EPROM' it is likely to be used as a ROM and can be used in any slot. EPROMs can only be written in slot 3.
and see what the Z88 tells you what you have got in the slot. You can change the use of EPROM or ROM that you do not need to use anymore. For example, if you had a Mac Link ROM and you are now on a PC and no longer need it you can do the following. Save some useful applications on it with ROMcombiner. A BOOT.CLI file can be used so that when you give the Z88 a Soft or Hard Reset, a previously written CLI program, stored on an EPROM, is run automatically. Uses include setting up your personal settings on the Panel and creating your Directories in the Filer. The following example shows a simple BOOT.CLI file with comments. If the line endings in CLI files are not correct, OZ gets confused. This happens if a different editor is used other than PipeDream, the Line Feed character may be different i.e. LF (ASCII 10 / 0Ah). Save as 'Plain Text file'. This corrects the file and the comment identifier works correctly (those lines are skipped by CLI).
.; Here is a sample BOOT.CLI file.
.; at the beginning of a line is a comment.
.; what you have done.
.; used a simple tree. You should clear any files in :RAM.-. See Bug - :RAM.-. Batteries inside the Z88 are very important, since they are needed even when the Z88 is turned off. How long do they last? This is difficult to measure with any accuracy as the Z88 has different states of operation. I have also noticed that the power consumption can vary by at least 20% from one Z88 to another. This is complicated a little further by the introduction of new memory chips being used in the RAM packs which use less power than its predecessor. All these factors change the results. Using rechargeable batteries is not advisable because the voltage is lower (1.2v instead of 1.5v per cell). This gives 5 volts to the Z88 instead of 6. They also go flat very quickly at the end of their life without any warning. It is better to use an external rechargeable battery system and have the internal batteries in place as backup. See here for more information. Waiting for a keyboard entry. The most likely cause of short battery life is either a faulty keyboard or a key is being constantly pressed. As soon as a key is pressed whilst the Z88 is turned off, the hardware needs to check whether the two shift keys are being pressed to turn the Z88 on. This action takes the Z88 out of coma mode (see above) and into snooze mode. Snooze mode uses more power than coma mode. So if there is something resting on the keyboard i.e. a book, the Z88 can never go into coma mode. If the keyboard is old and floppy, this can have the same effect as described. The Z88 thinks a key is being pressed. The way you can test this is by un-plugging the keyboard and see if the batteries last any longer. The Z88 Topper protects your keyboard from being pressed and a number of users found this solved their problem. The following table gives rough times with various functions. By finding out the Ampere Hour of your batteries you can calculate how long they will last. This can be used to check if your Z88 is really getting `hungry' on battery power or not. 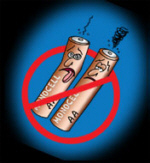 Duracell Copper Top 2,250 mAh There is no advantage using the Ultra range due to the low current the Z88 uses. AA size Rechargeable 500 mAh (which is why you should not use them). Since I've taken these readings there have been two changes. One is that improvements have been made to the current consumption of the Z88 and the new 128K RAM packs use less power than the old ones. I don't know when they changed and they don't look any different. This means that these figures should be a guide, not cast in concrete. Having ROMs and EPROMS plugged into the Z88 does not affect current consumption. RAM packs are different, since they are used both as working space and for files. It does not automatically follow that the bigger the ram pack is, the more current it uses. When to change the batteries? It is not a good idea to change the batteries when you see the Battery LOW symbol appear on the right-hand side of the screen. You should wait until the screen goes out automatically before changing them. The following tables show the battery voltage, with what state the Z88 is in. 6V New set of batteries start here. 4V Battery LOW symbol appears. 2V Display turns OFF. Flashes if Z88 is turned on again. Change batteries here. 1V Lose all files in RAM below 1V. Make sure that you use batteries that have an all metal top (+) voltage as the Z88 has a spring at both ends to make contact with the battery. If you use a battery that has only the tip to make contact, the spring can jump off this and the Z88 stops working.